The government of Benin plans to electrify about 100 rural communities after securing $28 million loan from the ECOWAS investment and development bank (BIDC). The communities involved in the project will be connected to the national electricity grid through the establishment of high voltage transmission and distribution lines, the government said. The operation will cover all twelve departments of the country, with the exception of the Littoral. 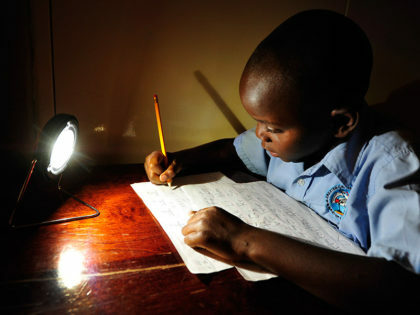 The implementation of this project will improve the country’s rural electrification rate, according to officials. In terms of electricity access, Benin’s objective is to achieve urban and rural electrification rates at respectively 95% and 65% by 2025. Regarding renewable energy target the objective is to achieve 24.6 % renewable energy in the energy mix in 2025. The $28 million loan is part of the Economic Community of West African States’ (ECOWAS) plans to enhance sustainable electricity access through solar in 19 West African countries and the Sahel region. Next year, the BIDC, the financial arm of the regional bloc, intends to diversify its shareholding and raise more funds to expand its footprint across the region.